One of the things that really sickened me about the WMSC hearing was Mosley's crowing after the event. In particular, his assertion that "If they do anything wrong against Alonso, they will have to answer to us in Paris and we will do what is necessary," showed just how much he fails to understand Ron Dennis. A man judges others by what he sees in himself and Max assumes therefore that Ron will have a desire for revenge. That is a complete misreading of the McLaren boss. You may call Ron naive but never vindictive. He is an honorable man and would stick by his promise to give equal support to both Hamilton and Alonso, regardless of what lesser men feel would be the correct prescription for the Spaniard. Max merely reveals his own pettiness and bad judgement in even thinking that a warning is necessary. I have seen Ron described as spineless for not fighting back against the injustice of the WMSC verdict but, again, this is a misunderstanding of the man. Ron has weighed the possibilities and decided that the best thing for McLaren and F1 is for the matter to end here and now; if that means some will take it as an admission of guilt, that is preferable to everything dragging on for months with even more damage being done to the sport. To put other more important concerns before his own standing is the action of a brave man, not a coward. Theissen insists that it is impossible to reign-in those with criminal intentions. "No matter what they do, banks are still robbed,” he pointed out in the German press. "You can do what you want (but) criminal energy can always overcome the obstacles." Which shows that Theissen knows how ridiculous it is to suggest that Ron knew what was going on with a few of his employees. There may be a legal sense in which a manager is responsible for the actions of his employees but that does not make him morally responsible. In a company of several hundred, no manager could possibly know everything that goes on. And you can bet that Theissen understands the implications for his own company and the fact that the McLaren case leaves all the manufacturers open to similar disasters and the whims of FIA committees. He is clearly not happy with the way things were dealt with and must be considering his options. The same is true for Christian Horner, Red Bull team manager. When he says that he feels "slightly sorry" for McLaren and then adds, "The actions of a few reckless individuals have obviously hit them with a pretty Draconian penalty," it is very obvious what his opinion is. The big teams are worried and so they should be. 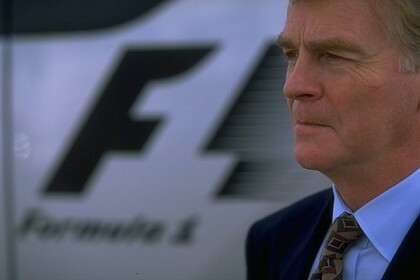 I am convinced that the days of Max as president of the FIA are numbered. It is very likely that the FIA will have to undergo considerable re-structuring too. The latest farce has shown all too clearly that it is no longer capable of administering a multi-million dollar international sport in a way that is fair to all. The manufacturers are in competition, yes, but an essential part of that competition must be that the playing field be even. The time for one man's personal opinions to rule over the fortunes of huge companies is over. I don't think Ron would do anything against Alonso because of what has gone on over the last few weeks. What I will say is that DC's book makes for interesting reading - during his time at McLaren with Hakkinen as his teammate, DC constantly felt that Ron favoured Mika but Ron consistently denied this both privately and publically. Until a few years down the line when he finally privately admitted to Coulthard that he had indeed been biased towards Hakkinen. DC still thinks Ron an honourable man so he must think that this bias wasn't intentional. If Ron does the same with Hamilton over Alonso then I doubt Fernando will be so undertanding. Ouch...lesser in stature I may be, but I may be looking at it more rationally than you, and perhaps Ron should too. Sorry for the 'spineless' rant, but seriously, why on earth should Ron not throw 100% of his company's support behind a driver that will help Mclaren profit from a driver's WC?? Maybe he shouldn't be vindictive as you say, but if he is employing race/fuel/tire strategy that is even-handed when his star driver will take that number '1' with him to another team, then he is not representing his shareholders very well. Actually, that wasn't directed at you, Scott! I've heard the same thing so many times in forums that I guess I was a bit fed up. It has always been McLaren policy not to prefer one driver over another (although, as Craig has pointed out, that may not have worked with 100% efficiency in the Hakkinen days) and I'm sure Ron sees no reason to deviate from it now. Losing the number 1 to another team at the end of the season is no big deal really - it happens often enough to most teams that win championships (just ask Renault). I don't really understand why Alonzo would look bad - he gets everything he wants, and proves that underhanded tactics work(blocking Hamilton in Hungary, blackmailing Ron, bullying Hamilton in Spa), and to top it off, he gets away with Mclaren's $20m, out of his contract free (because you know any other team will pay whatever they have to to get the reigning WC). He'll just pave the way for more dirty tricks by other drivers. On track, he may have learned from the best - MS, but off the track, I don't know if there has been a driver with such a bad attitude in the history of F1. If Ron teaches him a lesson - i.e. that the drivers AREN'T the only thing that matters in F1, then maybe others in the future will think twice. When people look at reputations in F1, I don't think many care about the nice guy - mean guy type, they care more about the winner - loser type. If Ron helps Alonzo win this title, I'll let you decide where Ron and Fernando will fit in that one. I believe Ron may have known more about the documents than he states (but that another topic!) but I must admit that he has shown some real class in this situation. His one misstep, if you can call it that, would be when he called Alonso a 'recluse of a man'. The relationship seems damaged beyond repair, even if Alonso did want to stay, I would not retain him. He seems like he would sabotage his team again to benefit himself Maybe just keep him under contract but take his race seat, that way he cant hurt you by winning on another team. Throughout all of this, I have heard very little in the way of Alonso rumors. Is it understood that he will be in a Renault next year? Yesterday's thinking was that he would go to Renault, where Briatore is virtually on bended knee asking for him to return. But a strong rumor today says that Alonso has already signed a deal to go to Ferrari next year, if you can believe that, Dan. It's in the British press, I hear, and passed on by Planet F1. Whatever happens, I can't see that he can continue at McLaren, things are far too strained for that. So there might be something in this Ferrari rumor. And, personally, I hope it's true - it would be interesting to see how he gets on with Kimi. If he really wants to stick it to Ron, what would work better? I think if he thinks he would get Shu status he is wrong. Kimi is no slouch, and may even be an even tougher teammate than The Ham. Talk about two sides of the spectrum..... The fiery Spaniard and the sleepy subdued Fin. Would Massa go to McLaren? He's too good to not get a drive next year (not great but good enough). D'you think Ralf would now be prepared to admit that he might not have a job next year? The article is titled "Max and the Manufacturers" but look how quickly it deteriorated into ..... who goes where next year? Let's get back to the main topic MadMax and Ron Dennis.
" A man judges others by what he sees in himself ......" very insightful Mr. Clive and in this case I'm sure you're spot-on but in the Ron Dennis case.......I'm going to side with DC (Coulthard) and J-PM (Montoya) both who have made statements indicating bias (perhaps UN-intentionally) but driver favoritizm none the less. They may have been "man enough" to tolerate it and Alonso may not have been quite so "manly" but there's no dispute the bias is/was there. Further to this we all realize Hamilton was a McLaren INVESTMENT and it was time for such to start producing returns. Common sense would dictate Ron Dennis HAD to favor Hammy in some way great or small to effect the expected return. And that brings us back to MadMax. This man is truly out of control, a dictator of sorts and probably responsible for more besmirchment of the sport than anyone. A dictator on one hand and now he's to be big brother on the other watching over Mr. Alonso. F1 .... I love it. The racing is truly boring but there's no reason to leave this soap opera. Cheers! I have no doubt that Ron has his favorites (Hakkinen was a close friend, as one instance) but I think he does his best to be impartial when it comes to the supply of equipment and so on. He may well have failed at times in that attempt but he does try. The return on the Hamilton investment I think caught even Ron by surprise; nobody expected the rookie to be so immediately on the pace of the double world champion. But, having seen what he'd got, it must have been very difficult for Ron to maintain impartiality, especially when his star driver turned out to be so petulant. I can see Ron trying for the rest of the year to be as fair as he can be between the two drivers, perhaps even favoring Alonso a little to make up for any unconscious preference the other way but, once the season is over, that will be it - Alonso will be out of the team before his feet hit the ground!